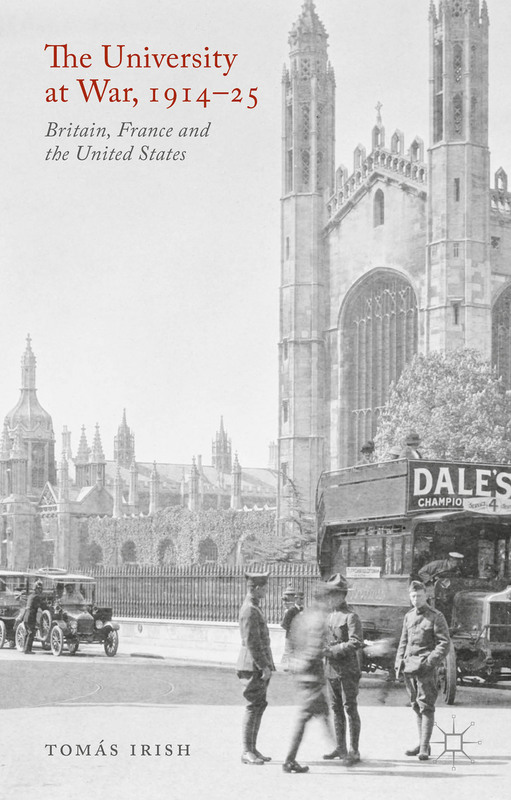 The University At War, 1914-1925 Britain, France, and the United States. We are delighted to announce the publication of HSTM Network committee member Dr. Tómas Irish’s book The University At War, 1914-1925 Britain, France, and the United States. The role science and technology in wartime, and the work of scientists researching at universities in those troubled times cannot be underestimated. Dr. Irish’s book is a fascinating read for all interested in the history of science and technology. How did universities come to be central players in the prosecution of the First World War? The war, defined for many by battlefield stalemate and trench warfare, brought ideas into the front line for the first time, as scholars and scholarship worked with national governments to provide answers to the many challenging questions it posed. Drawing on examples from Britain, France, and the United States, The University at War, 1914-25 examines how universities were mobilized in wartime and the ethical challenges which this in turn posed for educational institutions. The wartime experiences of academia helped shape many modern educational practices and systems of higher education and saw scholars emerge from their ‘ivory towers’ in the guise of experts. Leave a comment The University At War, 1914-1925 Britain, France, and the United States.